Mechanics Institute - Just what is going on?? 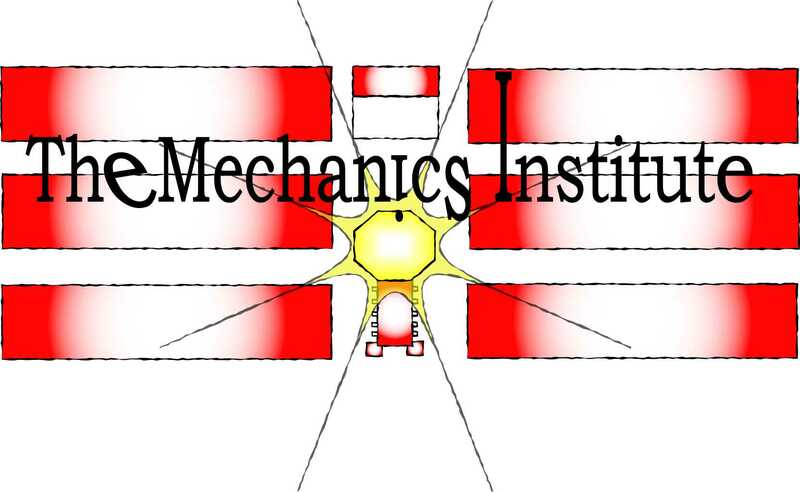 Topic: Mechanics Institute - Just what is going on?? Re: Mechanics Institute - Just what is going on?? Bristol Street car park is just across the road and has best 400+ spaces and with the Brunel nearby parking is a non-issue for whatever is proposed for the MI. A good percentage of people wanting to visit a theatre are going to be put off by being expected to walk even a mere 5 minutes of Chavopolis and its drunken denizens, as per the drive of other threads. But to get from Car Parks to theatre in Bristol or Bath is at least as far as Brunel to Mechanics... and you don't really have to go through the heart of Chavopolis to get between them. ... but the Mechanics 'solution' what ever it is, isn't about it simply being a theatre or music venue, is it? Businesses or ventures onsite are going to require significant amounts of parking for their staff alone, even ignoring their customers. Of course people can be made to walk - but the whole issue here is about making the mechanics a VIABLE ALTERNATIVE to the numerous other alternative venues with purpose built parking which any one of the potential preferred tenant users could walk into (for probably a fraction of the price). In that scenario, things like parking matter a lot. On another thread, we have people stating clearly that out of town shopping and cinema thrives because of the simplicity and convenience of siting what's on offer right next door to the means of transport (whilst avoiding the ugliest bits of town into the bargain). That model makes perfect sense in that setting and is one of the reason people give as to why they find shopping in the town centre an increasingly less attractive proposition. Why would the Mechanics scenario be any different...? on the other hand the idea mentioned in this thread of relocating the theatre to the Mechanics was the best idea I've heard for it and at least would be a great start to finding a viable use for the place. I worked in the centre of Bath for 4 years, and parking was pretty limited at the offices I was working in.. but again (like the Mechanics) at least the offices were close to the railway station. Yup - I'd definitely agree with that. Replacing the Wyvern and taking the theatre back to its spiritual home in Swindon would be a bold, popular and intelligent move - and probably only viable core to finding a future use for the building anything like that of its original intended purpose. Sadly, I suspect 'Garry's Car Park' is an investment which absolutely requires a nearby theatre to justify its otherwise rather white elephant status. It may therefore have indirectly doomed The Mechanics. But lets hope otherwise and continue to pray to the twin gods of Lottery and Philanthropy that something finally happens to inject a bit of pride back into this town. I am glad we are in agreement on this topic Tobes, but what do you think will happen in the Christmas rush with the siting of Garry's new £15m Car Park? Is it significant that the so called 'traffic experts' have placed traffic counters on Gordon Road and Beckhampton Street? At a time when the Administration is seeking cuts of £15m, please note the figure, that Garry's new Car Park is lit up like a Christmas Tree, but remains unused. I predict traffic chaos around this whole area over Christmas which result in people driving away from Swindon not to its Town Centre. With apologies for the digression from topic! The rumour mill is that the Mechanics has been offered to SBC at a very low price - the problem is that in accepting it they will have to 'do something with it' and while i hate to admit it, the only organisation people with a semblance of a plan is the Mechanics Trust. I love the idea that the MI could be considered the towns theatre's 'spiritual home' (well done Tobes) but is it really? I would consider the Empire to have been the real home of thetare in Swindon but alas it is no more. Rumors.. very descriptive as SBC need only request ownership as they are the only and main creditor. Why they haven't done so in the year since Forefront Estates ltd was dissolved is anybody's guess. Me, I don't think they want it and are content if it falls into Limbo again. They got burned with the "hasty" "rubbish" Urgent Repairs which EH didn't like. That cost £1.2m and they spent err wasted more money going after bad 'debt'. "We have got to the stage where we are preparing a business case for funding to carry out a detailed options appraisal of The Mechanics....... "
So yet another expensive 'option' report like the last one that they totally ignored. TSOL will probably put it up for auction in couple of months. My non aggresive posts are my own opinion and represent me, myself and I only! What about a permanent home for Luke's museum? It's been in storage, should be on show. Maybe 2nd Church of the Jedi? 1st church is in Angelsey. They have £18millions of Sect 106 money squirrelled away but they can't use it to refurbish the MI. In reality, whilst there is a body of opinion which wants to 'save the MI' there is an equal one which 'cares not a jot' what happens to it. Now I know the die hard ex GWR and anyone who can claim an iota of connectivity with the GWR will hyper ventilate at such a comment, but it is true. Since 1987 when the works close the population of the town has grown from around 140,000 to around 190,000. Most of these additional 50,000 have no connection whatsoever to the railway works, family members didn't work there and they probably don't know anyone who did. As time goes on the number of people who don't care about the history of the MI will grow - they might want to preserve the building but will have no interest in any specific use for it (they might even be overjoyed if it became a massive Wetherspoons pub). Now if the Mechanics Trust had been even 10% as successful as the Wilts air ambulance at raising money http://www.bbc.co.uk/news/uk-england-wiltshire-25635353 they'd be bringing in around £200,000 a year. This is a very crude calculation I know, but if they'd done that they'd now be sitting on a pot of £5million with which to purchase and begin work on the MI (excuses about ownership aren't really relevant, a charity can raise money from the public to try and buy a derelict building). I find it rather depressing that people feel forgotten heritage should be forgotten even further. It's pretty crass to suggest that the roots of a town should be lost just because outsiders are arriving en-masse. I don't see it as a mere vanity project either. People travel from other towns to visit The Outlet because it is an interesting environment. The Mechanics' could provide a vital combination of retail, culture, and interest to draw those same visitors into the town centre. A vital link for future trade. Many years ago The Mechanics' played a major part in saving Swindon. In replying to some of the points raised I am not trying to excuse anything just describe where we are as made known to me. The previous submission on turning the MI was not ignored, it was not accepted as the right answer for its Heritage context. A submission for an alternative site at the Hawthorns has been made. The Heritage context is vital to the solution and the star status for the building refers to the previous use of the building. Any future proposals have to bear this in mine. The MI Trust are the only Trust of their kind in the Town and have produced a potential design for the MI. They have been a contributing voice and kept the MI on the agenda in much the same way as TalkSwindon. Opportunity, offers and interest are not of their own sufficient. Future use, fit with other local needs, future intended activity and available money freed for investment also need to be considered or be ready for development. My limited previous experience concerning the old Railway Museum which has morphed a number of times informs me what is promised is not necessarily what is delivered or what evolves. Caution is needed but not inactivity. The problems with the MI is now affecting Highway decisions and the development of the new UTC. But 'incomers' do not have any idea as to the historical context of the MI - in fact many would se more genuine historical value in the GWR Hospital which is disregarded by many historians. Please forgive my cynicism - but please do tell me how! Now you are grasping at straws. Back in 2000-2202, SBC paid ~£15k a consultant surveying firm "Felden Clegg" for a report on the MI its state of repair, and future uses. It concluded that the MI was 'in the centre of Swindon' and was on a natural path from the Outlet, NM, EH to the Brunel Centre and Swindon Centre. Of course SBC were not been trying to herd people to Whalebridge and the big Hotel with all the cash in those days. The tunnel behind the MI and the Railway Village itself are supposed to be part of a Heritage area and a potential turist attraction. The people that go to the Outlet Village are mostly from outside Swindon and could be enticed into walking to Swindon Center if there were things to see. I think the MI could be restored slowly but surely just by turning the 'light back' on. The south part isn't too far off being usable for community events or perhaps a place for Luke's museaum. It could be Swindon's 'Camden Market'. There have been a few markets in Swindon over the years, why not a French Market in the South part of the MI every 1st Sunday in a Month. People visiting the Outlet, NMR or EH might just walk thru the tunnel for it. And people visitting Town might walk thru the Brunel centre. Felden & Clegg thought they might. To be honest just want to use the new smilie..
People seem to forget it was new Swindon's first market and also housed the first Council, the first Library, bowling hall, etc. It was a dance hall too.. even mentioned in a song by the Swindon band XTC. but people don't seem to want anything associated with noise. Bob Wright mentioned the UTC and traffic problems.. Probably new excuses that are going to be used for all sorts. The traffic problems are SBC's making with the botched Urgent repairs. The UTC could be something that perhaps brings investment to the MI. The North bit of the MI could be made in Student accommodation together with the Barracks being used in its original role. All a student needs, is a long room with sink, hotplate, desk sofa bed and communal showers, kitchen. Plenty of unused rooms just like that in the Barracks (old Railway Museaum). The thing that is starting to concern me is that a number of Swindon born people with whom I have discussed this subject have now given up any hope of ever seeing it restored and are even talking about knocking it down and using the site for something else! and I really wish it were otherwise. The time for talking is now sadly passed, some serious pro activity is the only way forward or the call to save the Council costs will overtake any 'desire' to save it. Have you had an answer to your FOI yet T? It is in the centre and between town and The Outlet. Karsten has answered the point in detail , but basically used as a sheltered corridor, a few small shops, and a "story of Swindon", it would provide a link. I'm a half-way house between ICDT and Des... I do think that what ever solution allows (if ever) the mechanics to be saved, it'll only be after a huge dose of commercial reality and some proper compromises on all sides to end up with a viable, realistic conclusion to this long and sorry saga. But that said, The Mechanics is undeniably one of the (if not the) most impressive signature buildings in the town - and as the focal point of the railway development both architecturally and socially, to deny or attempt to downplay its significance looks and sounds either stupid or an attempt to exonerate the kinds of planning decisions which have given us a town which would easily win 'ugliest of the south west' in any public poll. The argument about its insignificance to recent incomers to the town is about as feather-weight as one could conceive, surely? Try and make the same argument for failing to preserve The Crescent in Bath. The Crescent may be of national significance - but I'd argue, given the paucity of quality architecture with social history attached in Swindon, the value of the Mechanics to the town is, if anything, even greater. Why? Because of this towns ever deeper commitment to accepting homogeneous growth, regardless of consequences. Its an exponential relationship: A town with a reputation for being culturally and socially 'low rent' misses quality investment and becomes a purely functional place: That means somewhere to sleep and work, NOT somewhere to socialise, shop and participate in activities - or somewhere simply to enjoy the local environment. That shapes the perceptions of the people who live there - and those who disagree or see better opportunities elsewhere gradually move away. They tend to be the people who resist further 'low rent' development - and therefore the process speeds up. In turn, its further accelerated by the town increasingly attracting incomers who simply don't care one way or the other: the town becomes a place to work and sleep... not necessarily somewhere to live - and certainly not somewhere to bring up families and put down long-term roots. Swindons historic strengths have been its high employment and relatively affordable housing, its parks,its transport links and its vicinity to local countryside and. But now we have identikit estates stretching ever further on all boundaries, a railnetwork which is as expensive in real terms now as it was 100 years ago (and no faster to boot). Buildings designed by Victorians to last for generations have almost (but not quite) been replaced by purely functional, short term buildings which quickly look shabby and dated. We have a town which was once a respected centre of industry which is now a scorned conurb - a sort of 'town of last resort' in the eyes of many: A place in which people live because of their employment or because they can't really afford to live elsewhere. Really truly loyal residents who live here because they choose to are an ever rarer - and frequently ageing - find. The things which keep people here ought not be mocked - things like the Speedway are actually a pretty good example of the small examples of things which make the town more interesting. Every chip and cut at those aspects removes another reason for another creative or aspiring person to stay here; be that the once excellent town gardens now over-grown or vandalised because the gates are no longer closed at the end of the day, the litter from uncollected recycling, heritage buildings demolished and replaced by either acres of empty ground or cheaply built developments. Even if its only a matter of effecting the choices of a few percent a year who chose to invest their money somewhere else other than Swindon, the cumulative effects are huge, undeniable and highly corrosive. Should we just roll over and let the process completely destroy the last elements which remind us of a prouder past? Or should we aspire to something better? The UTC / a university is probably the type of organisation that could realistically use the MI as it originally was - library, lecture theatre, common rooms, refectory... In some more successful towns and cities their MI's became universities, the nearest example being Cheltenham, meanwhile Swindon is the largest UK town without a university http://lovemytown.co.uk/Universities/UniversitiesTable2.asp once again Swindon is number 1 at being crap! However, would the Mechanics Trust be happy with that because it wouldn't actually be a public use building? School/college/university buildings aren't really classed as being public buildings, as they don't want random members of the public wandering around - especially a UTC that has under-16's on-site. Their rooms might be hired for events but that is no different to what a hotel would do. Page created in 0.528 seconds with 26 queries.